Help keep your investment clean and damage free with Apache fenders. Our fenders are made with durable polypropylene for years of uninterrupted service. 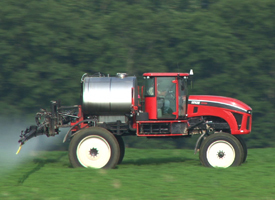 Apache Sprayers offer a stronger, more flexible, better protected and lower-maintenance boom package. Better cushioning on the boom rack minimizes wear and tear. Boom wings break away when coming into contact with trees and other immovable objects, and spring back into place when the obstacle is passed. A common boom manifold allows for upgrades and boom extension. Chemical eductor with 7-gallon hopper and 316 venturi. Ideal for mixing liquid and dry chemicals. 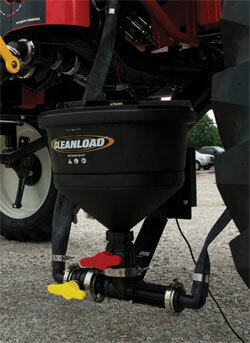 Tank rinse nozzle mounted in the 16″ hinged lid provides aggressive hopper clean out. Also includes an in-hopper bottle rinse system for rinsing chemical containers onsite. Occasionally burning the midnight oil in the field is just part of the job. Spraying in the dark presents unique challenges, but it can be just as effective as daytime application, assuming you have the right sprayer lighting package. The Apache Sprayers optional LED lighting package produces more light than previous models, while consuming less energy. This package features 64 LED bulbs, located above the grille and cab, and next to the fill station to reduce bounce-back reflection. The rugged design withstands heavy vibration, corrosion, moisture and dust, and the bright white LED bulbs illuminate more to reduce operator eye fatigue. Fence row nozzles are ideal when obstructions such as utility poles, fences and tree lines hinder your application spray from reaching its intended target. 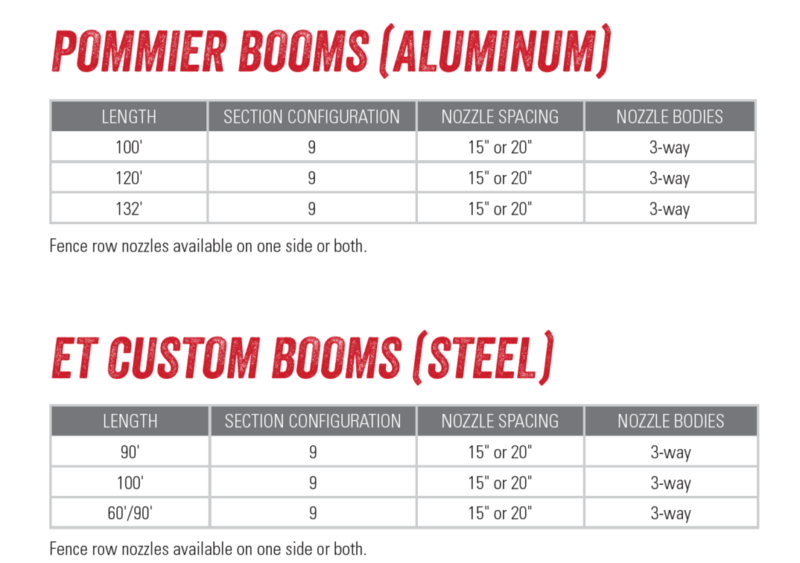 Fence row nozzles can be added to the left or right booms, or both. Operators have the option of adjusting the side mirror from within the comfortable confines of the cab. Power mirrors are controlled via the Apache’s Pilot System™. 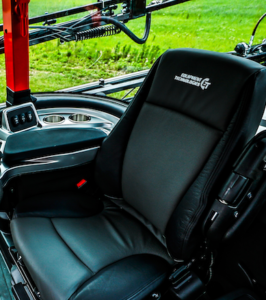 An optional vented and heated leather seat – new in 2016 – circulates air, keeping the operator cool on warm days and warm on cool days. A retrofit option is available for 2014 and newer Apaches. Add a stainless steel product tank to any 1,000-gallon and 1,200-gallon Apache Sprayer. These high-quality tanks are easy to clean and give your sprayer a stylish look that is popular with many custom applicators. 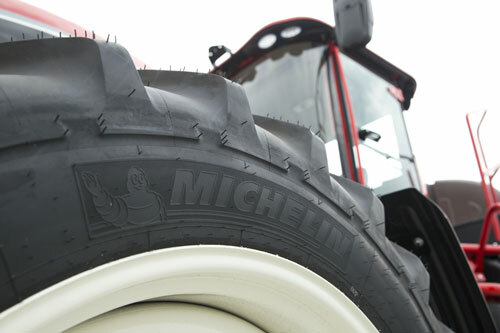 Michelin® Agriculture Tires come standard on all Apache Sprayers. We also offer alternative options for narrows, duals and floats. Every tire used by Apache is inspected upon assembly to ensure that farmers enjoy a long service life. We look for excellent traction and lateral stability with robust crowns and deep tread bars to coincide with our unmatched traction expectations. 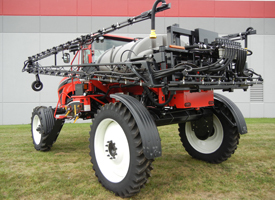 Already an Apache Sprayer owner and want to add an option? 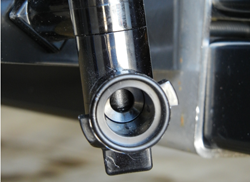 Simply contact your local Apache Dealer to inquire about parts upgrades for your unit. If you do not know where your Apache Dealer is located please use our Dealer Locator or contact Inside Sales at 877-398-6164.